Amrita is a doll, her bubbly and infectious sense of humour keeps me smiling on Twitter, whilst her impeccable taste in cosmetics often has me lusting after her most recent acquisitions! Not sure? Check out her storage post for a sneak peek at her ‘cheek’ drawer! 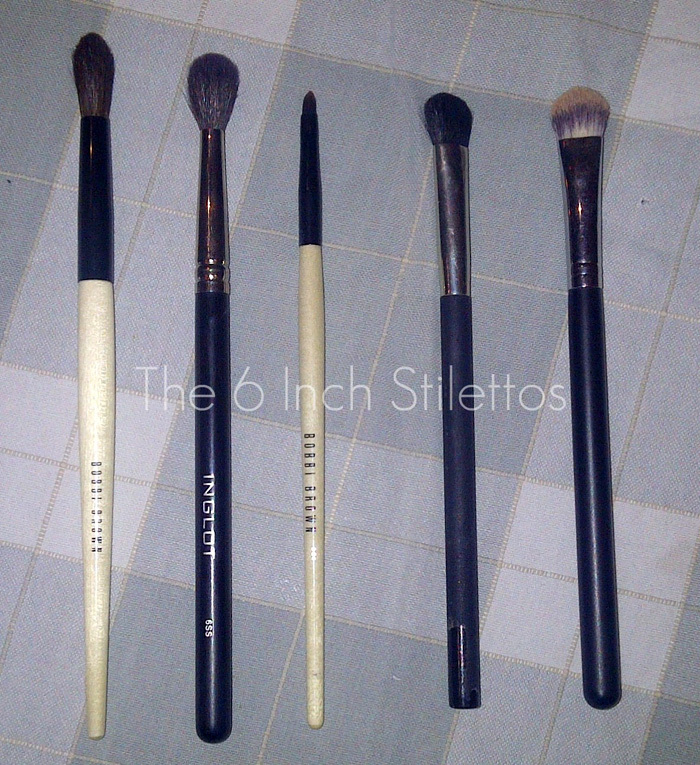 Seeing as my Top 10 series has been so popular, I figured that I should do a Top 10 feature on my makeup brushes too. Now, I own a hell of a lot of makeup brushes and although some of them are unloved, I try to rotate them and use them at least once or twice. A lot of conversations on Twitter amongst beauty bloggers and general girly chit chat revolves around makeup brushes and which ones are the best to buy but it always comes down to personal preference. Some like firm brushes while others prefer super soft ones, others think that expensive brushes are best while others feel that high street versions are way better – It’s all personal. Anyway, I’m waffling on way too much so let’s get cracking! Unknowingly, it turns out that I have 5 main face brushes and 5 main eye brushes which I definitely didn’t plan but I guess it all works out in the end. I have loads of Bobbi Brown makeup brushes in my collection purely because I used to work for them but even if I hadn’t, I definitely would have invested the money. They don’t shed and they’re made so well that you can’t go wrong with them – Plus, each brush is already labelled so even someone with no existing knowledge of makeup brushes can use them with ease. 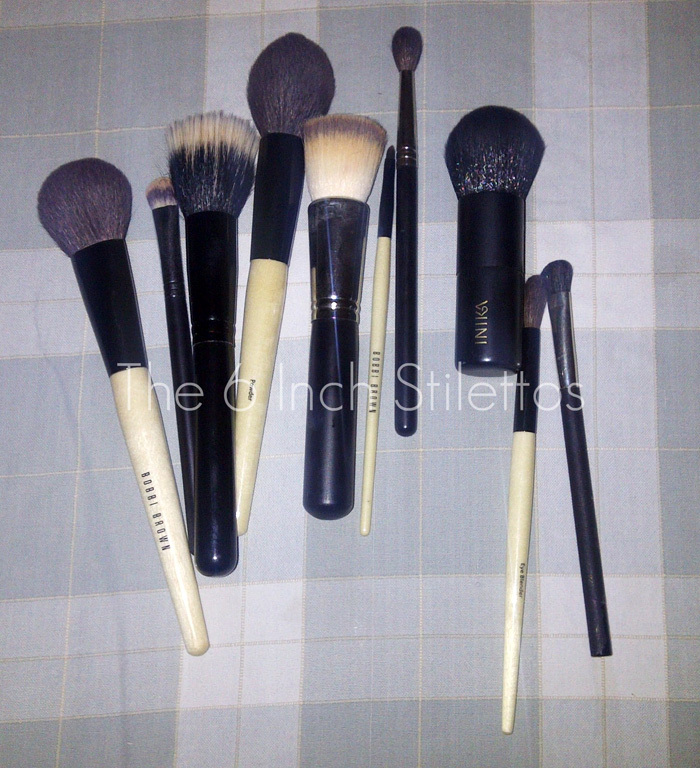 Other brands of makeup brushes that I use include: MAC, Royal & Langnickel, The Body Shop and Essence of Beauty. The next brushes on my list are Sigma makeup brushes so I might have to wait until pay day to splash out on a full set of those! 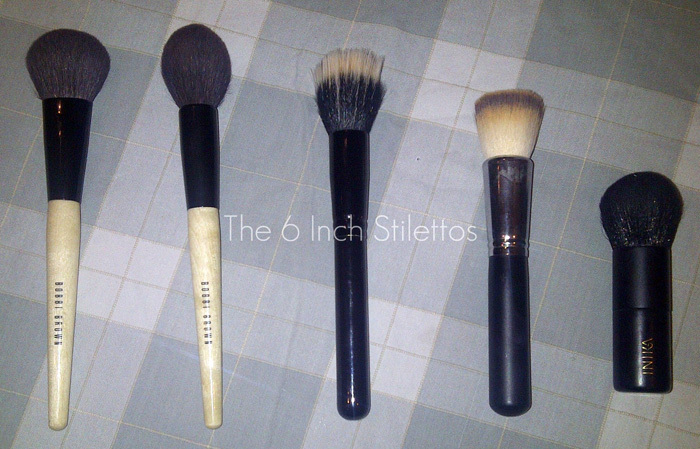 What are your favourite makeup brushes or the ones that never let you down? Make sure you drop a comment in the box or whizz over to my blog and let me know over there! Thanks Amrita! I need to check out some of those Bobbi Brown brushes for sure! Wow! I am mucho jealous of that make-up drawer! I ‘need’ a flat top kabuki! I recently stocked up on Bobbi Brown brushes and really like them – wish I’d tried and bought more. I also have some Clinique, Boots, MAC and Body Shop, although my favourite Body Shop ones are really OLD, when they used to have wooden handles. I’m not too keen on their new equivalents. I might add that I clean my brushes regularly. Oh and a really soft fluffy Barry M one which is handy sometimes. Thank you for all your comments on the post! The Bobbi Brown brushes are definitely worth the money as they will last you ages and don’t lose shape or hairs so if any of you are considering them, BUY THEM! Most of my brushes are low-end — Eco Tools and Real Techniques and a few ELF brushes. I love them — they’re perfect for me, no shedding etc. And I like that they’re not expensive so I have no qualms bringing them with me when I travel. How do y’all (pardon, I’m a Southern gal) store your brushes? Brush rolls, in holders, old coffee mugs? I used to have mine in a mug but my cats will manage to somehow sprout wings to get at them, no matter how out-of-reach I put them. So now they’re in a brush roll. The Bobbi Brown powder brush looks sooooooo soft and fluffy! Most of my brushes are low end with a few high end thrown in. Can’t go wrong with ELF Studio if you’re on a budget. I have some brushes by Frontcover, they are fab. But I don’t have any facial brushes apart from a kabuki from my useless Elizabeth Arden mineral foundation. Eye brushes get flung in my make-up kit, but I don’t take make-up out with me so they stay safe. When I get more brushes I will store them in an upright pot, maybe! Bobbi Brown must be lovely it seems!! & great post Amrita!